This is a sponsored post written by me on behalf of The Hillshire Brands Company. All opinions are entirely my own. The holidays are such a fun time of year packed full with holiday recipes we’ve been waiting all year long to make for friends. Many of our recipes create holiday memories we want our families to remember year after year. This Chocolate Peppermint Bark Cheesecake recipe does just that. 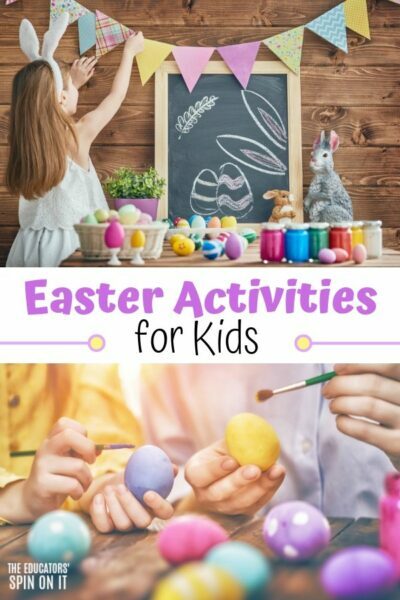 One way to make these times more memorable is finding ways to involve your child in the process of making a special holiday recipe. 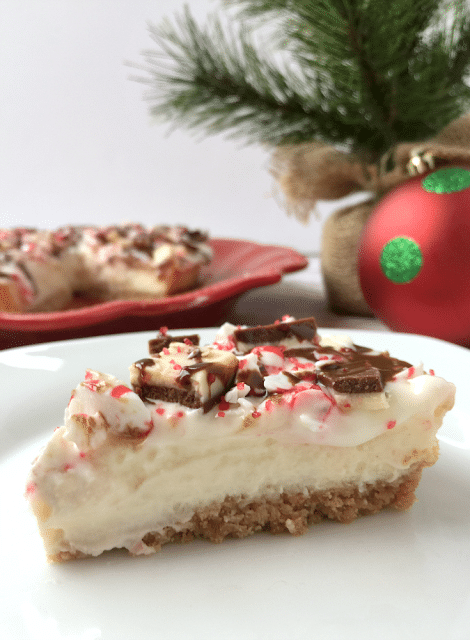 Here’s how to take your cheesecake from good to great with just a few holiday touches that your kids can do with you! 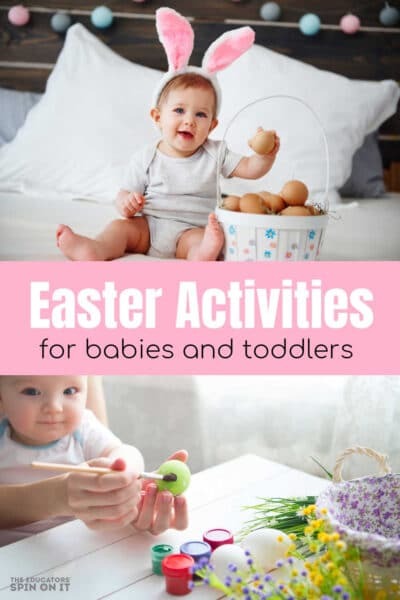 The holidays are a busy time of year as a parent. 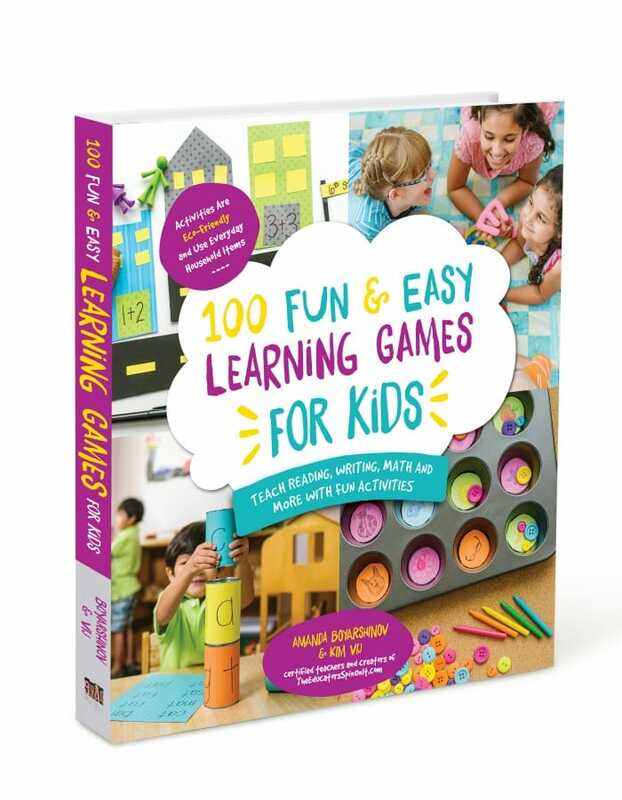 Finding ways to make memories with the kids is something I’m always trying to plan for. Although gifts often seem to be a part of our conversations, it’s spending time together as a family that we cherish the most. Some of my most favorite memories of the holidays we spent in the kitchen with my mom and grandmas doing special tasks for them. As I think back it was the finishing touches that make it feel special and the holiday music playing in the background. 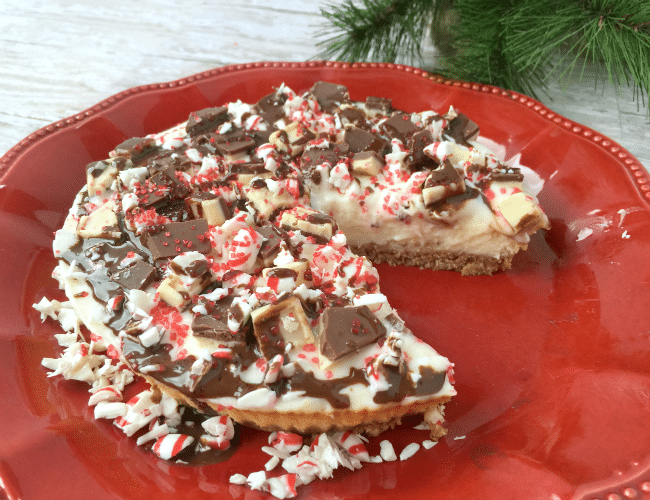 Here’s a way to quickly put together a special Holiday Cheesecake that will be a hit for your next holiday meal with family and friends. 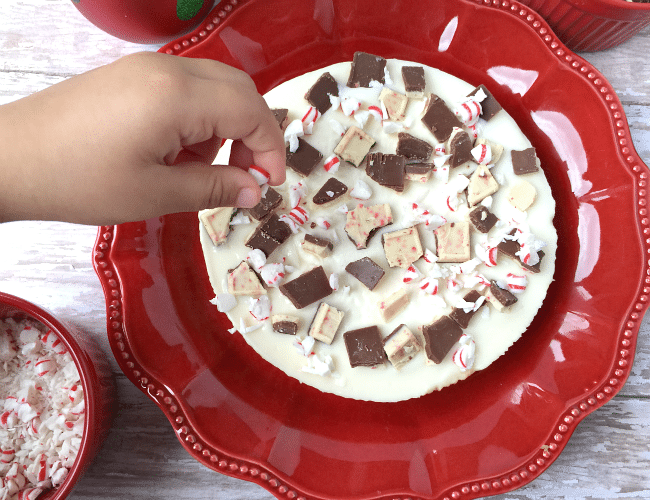 With one quick trip to your local Walmart to grab a Sara Lee Cheesecake, you’ll be all set and ready to bring joy to your meal with your own twist on the favorite holiday flavors of chocolate and peppermint. My kids went shopping with me at Walmart to get our special holiday dessert ingredients. 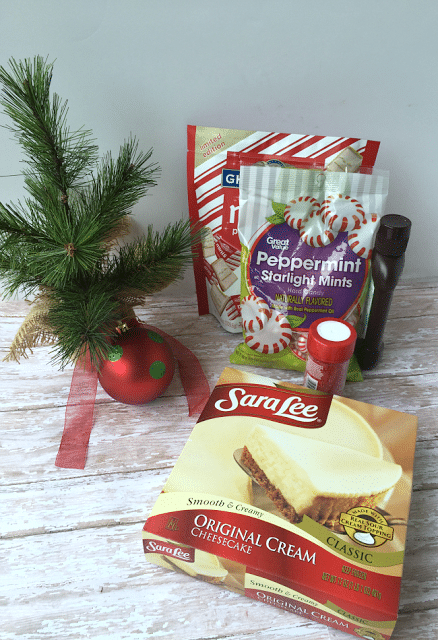 Before heading back to the freezer section for our Sara Lee Cheesecake, we stopped by the center holiday baking display to pick out some special chocolate mint items to decorate our holiday dessert with. Love how Walmart always seems to feature just what I need in the center isle during the holidays. 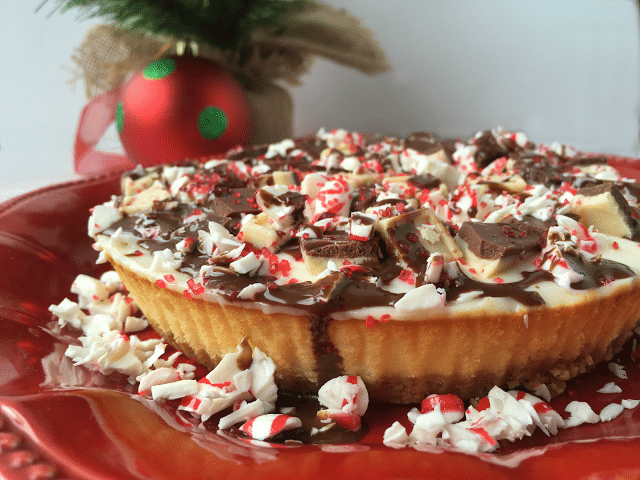 Finding moments to give the kids ownership in a holiday dessert can be quite special. Buying an item that is already made can be such a time saver so that you can spend more time together making holiday memories as you complete the final holiday touches together. 1. Take your Sara Lee Cheesecake out of the freezer and box to thaw 2-3 hours in the refrigerator before. I recommend decorating it while it’s still slightly frozen to help it keep shape. 2. While your cheesecake is thawing, it’s time to prepare all the holiday decorations for it. Grab a plastic freezer bag, a little more study for kids, and place the 10-15 peppermint candies in it. 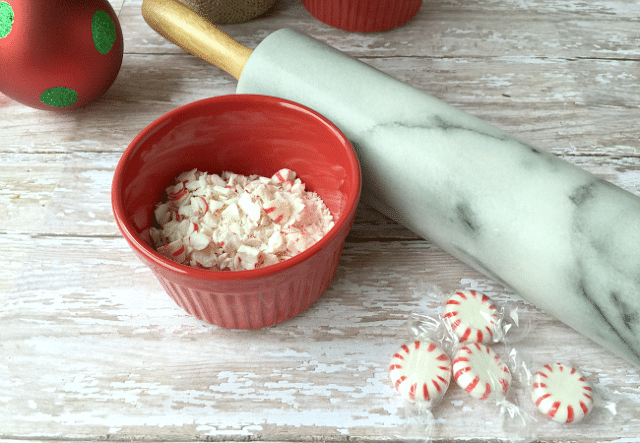 Have your child use a rolling pin to smash the candies up into small peppermint bits. Place into small bowl once they are small enough. 3. Remove the Ghirardelli Peppermint Bark out from the package. 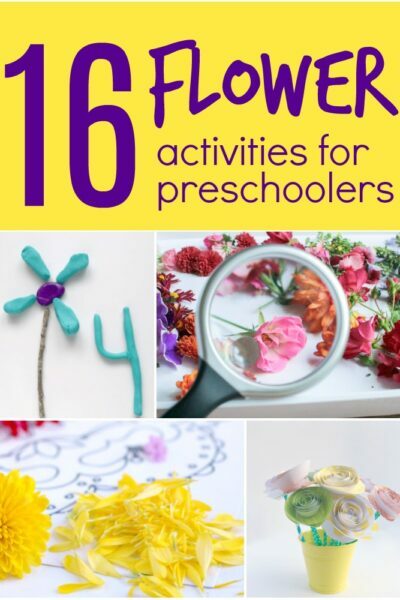 Encourage your child to break it up into tiny bits and place into a small bowl. 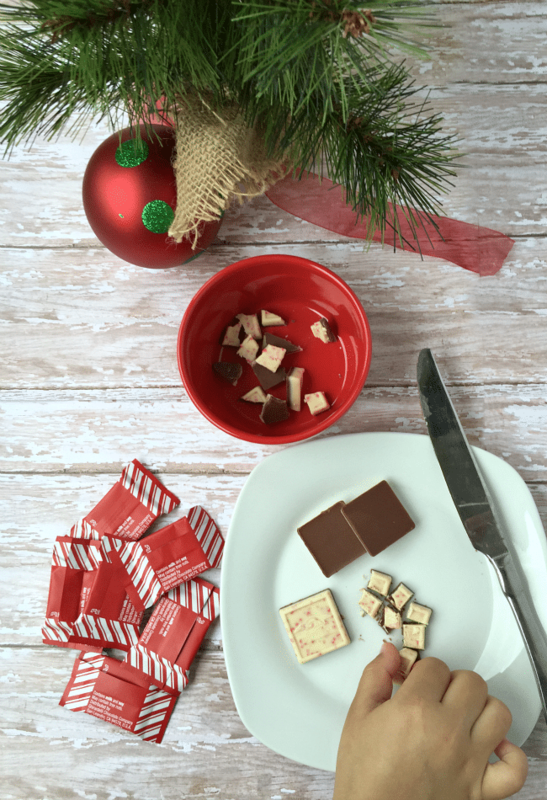 If you’ve made your own peppermint bark that will work too! Mom tip: We practiced safely using a butter knife with kids while preparing our chocolate. 4. 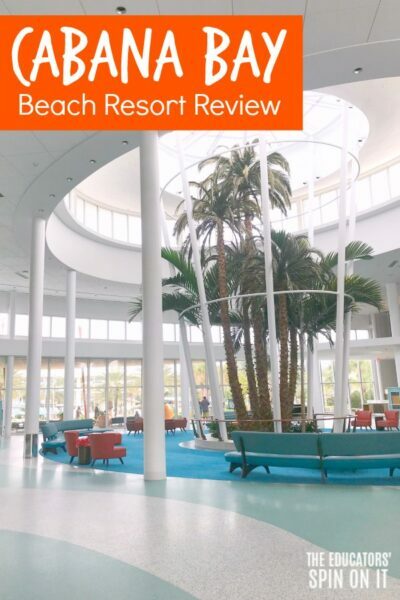 Here’s where you can sneak in a Holiday book with your child because you’ve saved some time with your cheesecake! 5. Once the cheesecake is thawed almost, sprinkle the Peppermint bits and Peppermint barks bits evenly onto the top of the cheesecake. 6. Shake the Magic Shell Chocolate, hand to your child and encourage them to give it a really good shake. Then carefully drizzle the chocolate sauce onto the top of the cheesecake back and forth in an even pattern. 7. Add a few red sugar sprinkles to the top for that extra holiday spirit. 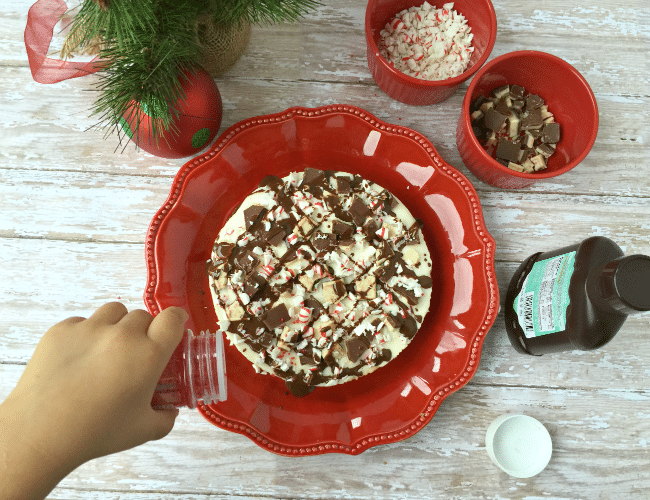 This is a holiday recipe really meant to create with kids. 8. Keep your Holiday Dessert in the refrigerator until ready to serve. Enjoy your gorgeous Chocolate Peppermint Bark Cheesecake with your family and friends during the holidays. The best part of this is that you will most likely have a few leftovers of your holiday decorations that you can use later to decorate another holiday treat like a Gingerbread House or Holiday Cookies and have time for it because you use an already made holiday dessert like a Sara Lee Original Cheesecake. This holiday dessert recipe is a big hit to bring to parties too when you can’t figure out what to bring but want something festive. We’re planning to share our Holiday Dessert with our friends for holiday get together. Then we’ll make one again for Christmas Dessert. 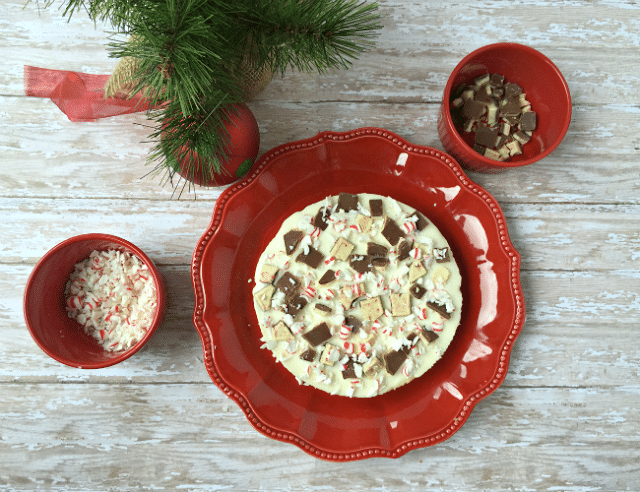 Chocolate Peppermint Bark twice in the Christmas season is a win in my books! 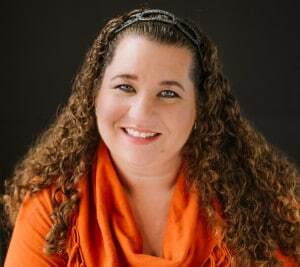 I love that you can count on Walmart to provide our family the same quality products anywhere you travel during the holiday season so that you can run in and out and grab just what you need to make your holidays super easy and fun and have even more time to spend with your family and we make our holidays memorable. 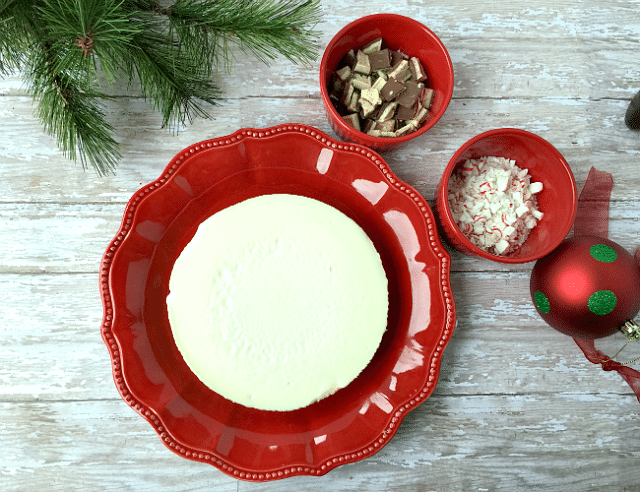 Don’t forget to stop by the freezer section to grab your Sara Lee Cheesecake for your holiday celebrations! Need more holiday recipe ideas that are a breeze to make from good to great? 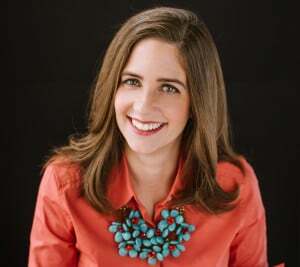 I encourage you to go visit www.joytothemeal.com to find additional holiday recipes that will have been create to bring your holiday recipes from Good to Great. Be sure to follow our Memorable Holidays Pinterest Board for more inspiration for your Holiday Entertaining.